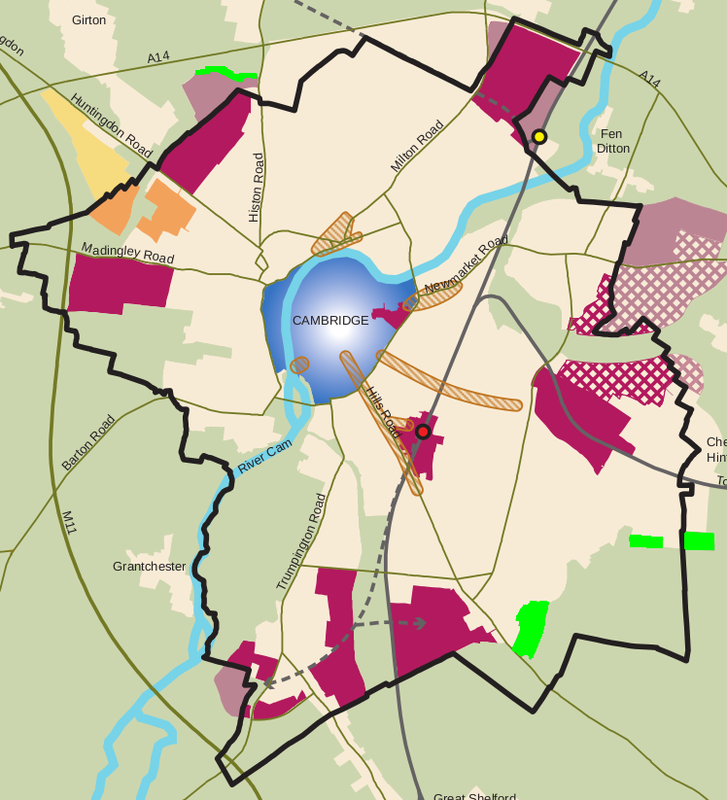 This map shows developments around cambridge. 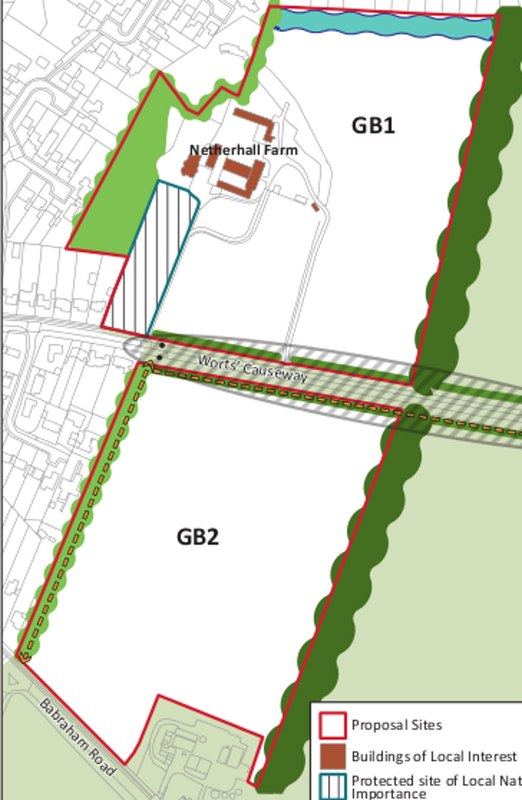 Bright green shows the Green belt developments. Purple sites are areas of major change ( non Green Belt development). It shows the large amount of development planned and how this will substantially change the shape and feel of the city. An additional concern for many is the impact of the extra traffic that will be generated. These sites will be for commercial use rather than housing.